MainAll NewsHaredi Community ‏'New Testament' - in Yiddish? 'New Testament' - in Yiddish? Christian book translated into Yiddish found distributed along street in Jerusalem's 'Mea Shearim' haredi neighborhood. Residents of Jerusalem's Mea Shearim neighborhood were shocked to discover that "Messianic Jews" had scattered Christian "New Testament" books along one of the streets of the neighborhood. 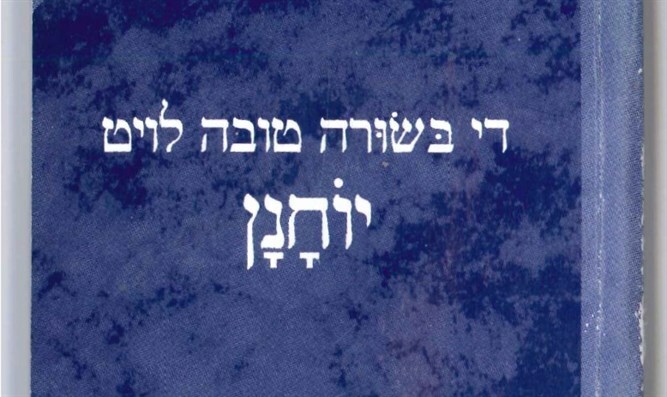 The distributed book had been translated into the Yiddish language. Anti-missionary group Yad L'Achim said that the distribution of the Yiddish missionary book in the heart of the haredi neighborhoods proves that the missionaries are not afraid of anyone and repeatedly intensify their provocations. "This is a deliberate provocation aimed at hunting people and simultaneously stirring the public space and creating riots," they said. In the past, Yad L'Achim ran an advocacy campaign against the distribution of missionary discs in the Yiddish language in haredi areas of New York, but this is the first time in many years that such an incident has occurred in Israel. The organization said that, as soon as the information about the book was received, dozens of activists and volunteers converged on Mea Shearim, gathering hundreds of books that had been placed in the doorways of houses and shops. Yad L'Achim also rushed to publish additional advertisements warning the public against the missionary activity, and continues to keep an eye out for additional developments in the extensive missionary campaign.